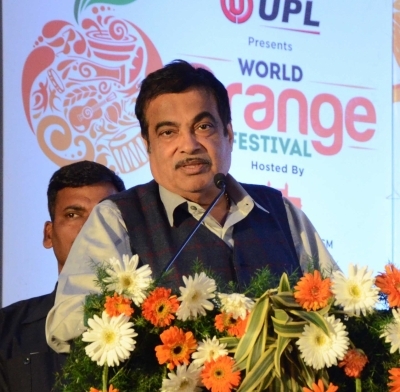 Prayagraj, Feb 8 (IANS) Union shipping and transport minister Nitin Gadkari on Friday said that a detailed project report (DPR) for waterways between New Delhi and Prayagraj was ready and that work on the ambitious project will start soon. In Prayagraj, where he took a holy dip in the Sangam at the ongoing Kumbh, Gadkari also inaugurated the IInd phase of the River Information System (RIS) -- the 410-km Farakka-Patna stretch, and a fish passage through Farakka Navigation Lock on National Waterways-1 (NW-1). This has been done to ensure better breeding of the Hilsa fish, an official informed. "The DPR is ready and very soon work will start on the project which will enable people to go to the national capital from Prayagraj," the minister said. He added that there was huge scope for fibre glass boats since he realised during his visit that the boats in the Ganga were very old. "If the state government allocates land, the shipping ministry would be happy to put up a factory for manufacture of such boats in Prayagraj," the minister announced. This, he pointed out, would give impetus to the local fishing community and also add to the tourism department footfalls. Gadkari also assured the people that by next year the Ganga would be cleaner than it is now. "We are currently ensuring a one-metre depth between Varanasi and Prayagraj and we are bringing in new and innovative technology which will ensure smoother operations for cruise ships," he informed. The Farakka-Patna stretch, an official told IANS, will enhance swift electronic data transfer between mobile vessels and base stations on shore through advance and real-time exchange of information. Under phase II, five base stations -- Manihari, Bhagalpur, Munger, Barh and Hatidah and one control station have been made at Patna. The Inland Waterways Authority of India (IWAI) is implementing the project in three phases on NW-1 at a cost of about Rs 57 crore. In 2016, in the first phase of the RIS -- 545 km on the Haldia-Farakka stretch -- was commissioned. Work on the third phase -- 356 kms on the Patna-Varanasi stretch -- is currently in progress.